POWERLINK is a protocol expansion to the Ethernet standard according to IEEE 802.3 for transmission of real-time date in the microsecond range. POWERLINK is found most frequently in the transfer of process data in automation technology. Currently, Ethernet POWERLINK reaches cycle times < 200 μs and a time precision (jitter) of less than 1 μs. 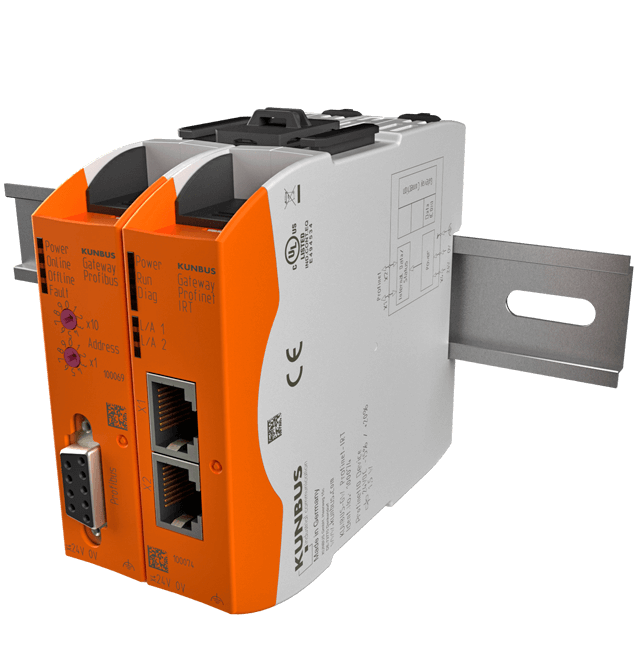 Ethernet POWERLINK also enables payload exchange via a communication protocol inspired by CANopen between the individual network nodes. The POWERLINK protocol stack is responsible for this. This stack requires no special hardware, so that master as well as slave nodes can be realized with commercial Ethernet components. Accordingly, there are also open-source master and slave stacks for different operating systems. Put more simply, POWERLINK is "CANopen over Ethernet". POWERLINK is based on an Industrial Ethernet solution on the standard according to IEEE 802.3. The process industry, as well as plant and machine-building, use POWERLINK for real-time communication. Actually, a POWERLINK cycle enables not only the transfer of payload data. A time section with fixed reservation in its asynchronous phase for user data provides transfer of service data for configuration or remote maintenance. Additionally, for example video cameras for security monitoring, can be integrated into the POWERLINK network. Another advantage of POWERLINK is the ability to integrate different networks. Accordingly, data from other fieldbuses can be exchanged via gateways on the basis of asynchronous cycle sections. Because of the above named standard IEEE 802.3, the POWERLINK protocol can use hard real-time and still brings standard Ethernet advantages with it, which are founded on cross traffic with data transfer, fee selection of the network topology, hot-plug capacity, and easy diagnosis options. These advantages make it possible to use the POWERLINK network for decentralized as well as for centralized automation processes. The open-source license and the possible integration of CANopen are other obvious applications. In a POWERLINK network, a part of the network can send information only when a clear request has been made. This requires the polling procedure with fixed definition of time points for data transfer. A so-called stack was added to the transfer layers defined on the basis of TCP/IP and UDP/IP for the “requested communication”. Planning and shaping of the data exchange is done in the stack by the slot communication network management - abbreviated as SCNM. In this way, there can be no data collision during data exchange. As the Ethernet standard is maintained - in spite of implementation of the stack - POWERLINK still offers a high level of flexibility on any Ethernet hardware. Within a POWERLINK network, no simultaneous data sending or data collision is possible. For this purpose, a master with the designation Managing Node (MN) is defined (for example SPS, controller, industry PC). It is the task of the MN to specify cyclic communication and synchronization of all devices in a specified time unit. The controlled nodes (CN) may accordingly only send data if a corresponding MN request exists. The roll-request procedure is related to this, which involves polling of the data by the MN in a clock cycle. This is followed by the roll requests, i.e. the answers of the controlled nodes in broadcast mode, which enables information transfer to all participants. The POWERLINK object dictionary consolidates all user and communication objects, in the same way as in the fieldbus standard CANopen. The object dictionary can be understood as the connection between the communication device and the respective application. A 16-bit index is created for each object dictionary entry. As a maximum of 256 sub-indices can exist per index, differentiation of 65536 x 254 entries per device is possible, where free use of the sub-indices 0 and 255 is not possible. A clear advantage of the POWERLINK object dictionary is the high level of manufacturer-independence, as different devices always correspond to a specific, uniform profile. Here, the CANopen device profile is used and a transformation rule is specified. In this way, even the increased length of the user data profiles with POWERLINK does not present a problem. POWERLINK provides clear advantages also for the communication of safety-critical data. This can be supplemented by an open security protocol named openSAFETY. With openSAFETY, the transfer of safety-critical data takes place with division into two sub-frames, where checksums are used. With this, the separate safety control depends on the corresponding safety function of the network. This enables a parallel coexistence of non-safe and safe participants in the POWERLINK network. These two participants can exchange data that is not relevant for the safety function.